Our Partners | Protecting the Blue Ridge Parkway in N.C. Numerous partner organizations help protect spectacular properties along the Blue Ridge Parkway in North Carolina. The Parkway is a national treasure, and conservation efforts are focused on saving the Parkway’s scenic views, clear mountain streams, healthy forests, picturesque farms, challenging hiking trails, and cultural heritage. Some of the partner organizations work closely with landowners to protect their land, while others provide essential funding for this work. Some are nonprofits, while others are government agencies. All work together to ensure that the highest priority properties along the Parkway are preserved. Blue Ridge Parkway is steeped in tradition and recognized world-wide as a crossroads of natural and cultural richness. The Parkway serves to tie together a diverse landscape and lifestyle- connecting the past with the present and preserving the region’s heritage for the future. We invite you to begin your exploration of the 469- mile Blue Ridge Parkway, stretching between Shenandoah National Park and Great Smoky Mountains National Park, to learn about these unique resources. The Parkway is one of the most-visited units of the National Park system and one of only two that does not require an entrance fee. Blue Rige Concervancy works with willing landowners and local communities to permanently protect land and water resources with agricultural, ecological, cultural, recreational and scenic value in northwest North Carolina. The Conservation Fund makes conservation work for America by creating solutions that make environmental and economic sense, and it is redefining conservation to demonstrate its essential role in our future prosperity. 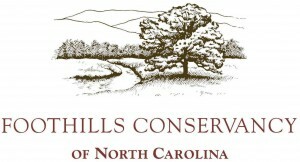 Conservation Trust for North Carolina works with landowners, local land trusts, and communities to save the places you love – streams, forests, parks, and scenic vistas – so that all North Carolinians can enjoy safe drinking water, clean air, fresh local foods, and abundant outdoor recreational opportunities. Foothills Conservancy of North Carolina works cooperatively with landowners and public and private conservation partners to preserve and protect important natural areas and open spaces of an eight-county Blue Ridge Mountains and Foothills region, including watersheds, environmentally significant habitats, forests, and farmland for this and future generations. 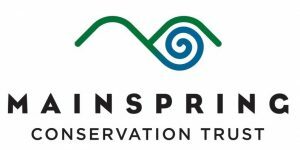 Mainspring Conservation Trust, formerly the Land Trust for the Little Tennessee, conserves the waters, forests, farms, and heritage of the upper Little Tennessee and Hiwassee River Valleys, which includes Clay, Cherokee, Graham, Jackson, Macon and Swain Counties in North Carolina and northern Rabun County, Georgia. The Nature Conservancy conserves the lands and waters on which all life depends. The Nature Conservancy’s vision is a world where the diversity of life thrives, and people act to conserve nature for its own sake and its ability to fulfill our needs and enrich our lives. Piedmont Land Conservancy permanently protects important lands to conserve the Piedmont region’s rivers and streams, natural and scenic areas, wildlife habitat, and farm land that make the Piedmont a healthy and vibrant place to live, work and visit for present and future generations. 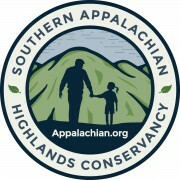 Southern Appalachian Highlands Conservancy works to conserve the unique plant and animal habitat, clean water, farmland, scenic beauty and places for people to enjoy outdoor recreation in the mountains of North Carolina and Tennessee for the benefit of present and future generations. Blue Ridge Forever is a coalition of conservation organizations engaging the public and raising funds to safeguard land and water – now and for future generations. Blue Ridge Parkway Foundation is a comprehensive and independent protector of the Parkway, ensuring natural resource protection, historical preservation, education and outreach, and visitor enjoyment now and for future generations. Friends of the NC Mountains-to-Sea Trail is the growing group of citizens and volunteers who support the trail by working across North Carolina to build and maintain the trail, encourage communities to create new sections of trail, and help people access it. More than 500 miles of the trail are now completed, including nearly 200 miles along the Blue Ridge Parkway. Forest Legacy Program is a US Department of Agriculture program that partners with states and land trusts to protect productive forest lands. National Fish and Wildlife Foundation, created by Congress in 1984, has become one of the world’s largest conservation grant-makers. The Foundation works with both the public and private sectors to protect and restore our nation’s fish, wildlife, plants and natural habitats. NC Clean Water Management Trust Fund provides grant assistance to conservation nonprofits, local governments, and state agencies to protect land and surface waters throughout North Carolina. NC Department of Agriculture & Consumer Services’ Agricultural Development and Farmland Preservation Trust Fund supports farming, forestry, and horticulture communities within North Carolina’s agriculture industry. NC Parks and Recreation Trust Fund provides matching grants to local governments for parks and recreational projects to serve the public. It is the primary source of funding to build and renovate facilities in the state parks as well as to buy land for new and existing parks. NC State Parks System protects representative examples of the state’s natural and cultural resources and provides for outdoor recreation in a natural setting for current and future visitors. The State Parks System was established in 1916 with the creation of Mount Mitchell State Park, accessible from Blue Ridge Parkway milepost 355. NC Wildlife Resources Commission is the state agency created by the General Assembly in 1947 to conserve and sustain the state’s fish and wildlife resources through research, scientific management, wise use, and public input. US Forest Service is a multi-faceted agency that manages and protects 154 national forests and 20 grasslands in 44 states and Puerto Rico. The agency’s mission is to sustain the health, diversity, and productivity of the nation’s forests and grasslands to meet the needs of present and future generations.